This year has been a busy one for do-it-yourself PC enthusiasts. Between Intel's Sandy Bridge, AMD's Bulldozer, and a series of ever-faster GPUs, we're surrounded by options. Of course, that can make the planning process for the new PC build even more complicated. Should you buy the best CPU your motherboard can handle, or should you spend the money on a midlevel processor in a brand-new motherboard that you can easily upgrade later? Do you want to build the system to last for one year--or five? We're here to help. Whether you're upgrading an Intel- or AMD-based PC or starting from scratch, we'll find the right components for your needs--and your budget. Intel saw some tremendous gains in 2011, thanks to Sandy Bridge, which makes it hard to recommend against any Intel processor at the moment regardless of what you're building. AMD's CPUs aren't bad, but its new AMD FX ("Bulldozer") flagship processor line simply doesn't deliver performance good enough to merit the price. When we ran the top-of-the-line AMD FX-8150 ($245) through our performance tests, we found that it put up scores comparable to Intel's midrange Core i5 2500K CPU--but it costs an extra $45 or so and consumes more power than the i5 2500K. If you're building a new PC from scratch, then, an Intel motherboard and processor combo is definitely the way to go. Budget-minded buyers will get the best price/performance ratio out of the Core i5 2500K (about $200), while performance junkies can grab a Core i7 2600K for an extra $100 or so. 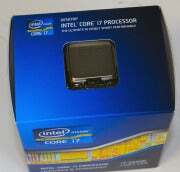 (Read Lab Tested: Intel Sandy Bridge for more information about Intel's Sandy Bridge line.) The Core i7 2600K isn't Intel's fastest processor--that honor goes to the Sandy Bridge Extreme Edition Core i7 3960X. That bad boy will run you over $1000, and frankly, if you're going to get it, you'll need to build the rest of your PC around it (see "How to Build a Powerhouse PC" for specific component recommendations). On the other hand, if you're hoping to upgrade your aging AMD-based PC, things get a little trickier. That's because your best options depend mostly on your specific motherboard and processor combination. If you already own an AM3+ motherboard, you might as well get a Bulldozer processor--despite its underwhelming performance scores, it'll still be powerful enough to last for a few years. Additionally, the next wave of AMD desktop processors aren't coming for a while, so there's no point in holding out to see if they improve in the next iteration. AM3 motherboards can run Bulldozer CPUs, but they're not officially supported (you'll miss out on a few features, and you'll most likely void your warranty on your CPU and motherboard), so you're better off saving the cash you would spend on an upgrade and spending it on a new build later down the line, or on a high-end graphics card that you could carry over to a future PC build. If you're looking to give an older AMD PC with an AM2+ motherboard a relatively cheap speed boost, consider picking up a Phenom II X4 processor. They're AM3 chips, but they should be backwards-compatible with an AM2+ motherboard. Phenom II X4 chips usually run about $125 these days, and they're more than capable of playing games and handling other moderate workloads, especially if paired with a decent graphics card. Read How to Upgrade Your CPU for a step-by-step guide through the entire process. Compared with sorting through CPUs, buying a new graphics card is a relatively simple process: More money means better performance. That said, there are a few things you should know before loading up your shopping cart that could save you a few bucks later on when you're looking to upgrade. 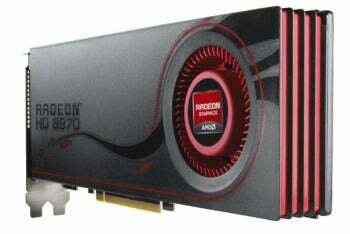 At the lower end of the price spectrum, the AMD Radeon HD 6870 ($200) and Nvidia GeForce GTX 560 Ti ($250) are both solid cards that came very close in our performance tests. Overall, the 560 Ti hit higher framerates (about 5fps faster in Crysis 2 and 10fps faster in Dirt 3), but considering it drew about 33 watts more than the Radeon 6870 and costs an extra $50, truly budget-minded gamers will most likely favor the Radeon 6870. If you're willing to shell out that $50, though, it's worth it. Once we moved up to a higher price point, the performance difference gets even smaller. We tested the AMD Radeon HD 6970 ($350) against the Nvidia GeForce GTX 570 ($330) and found that while the GTX 570 consistently put up higher numbers, the difference was closer to 2fps to 3fps. Considering these cards were tested with 30-inch monitors playing games at a resolution of 2560 pixels by 1600 pixels with max settings, chances are that either one will do just fine for your gaming needs. And considering that performance is more or less a wash, either GPU will do fine, though the AMD Radeon HD 6970 will save you money over the long run, thanks to its lower power needs. However, all four of those cards are about a year old now, meaning we're due for a refresh of some sort in the fairly near future. So, if you can hold off buying a new GPU until something new comes out, that's probably your best bet. If you already own a relatively recent graphics card, odds are good that it supports some kind of multi-GPU configuration--AMD calls it CrossFire, Nvidia calls it Scalable Link Interface ("SLI")--which basically lets you pair two identical graphics cards together in one PC for a substantial speed boost. Generally speaking, two cards paired together will be a bit more powerful than one card at the next level up, so two 560 Tis will be stronger than a single 570, two 6870s stronger than a 6970, and so on. Running two cards in SLI/CrossFire mode essentially gives you a cheaper upgrade option when a new line of cards comes out. For example, instead of leaving behind a perfectly good GTX 570 to buy a new card, you can buy a second GTX 570 at a significantly lower price (because a new round of graphics cards are out) and give your system an easy speed boost to get back in the game. Solid-state drives have been the PC upgrade to envy for a few years now. After all, they're easy to drool over--who doesn't want to leave their sluggish hard disk drive behind? But once you see the price per gigabyte, most people will shrug their shoulders and stick with a spacious 1TB, 7200RPM hard drive that has four times the storage at a third of the price. The Intel 510 Series SSD. If you're willing to shell out for an SSD, the Intel 510 Series 250GB ($580) and Crucial RealSSD C300 256GB ($450) topped the charts in our performance tests, and both manufacturers have a history of producing reliable drives. Keep in mind that SSDs are usually designed for laptops, so they're made to fit a 2.5-inch drive bay--you can watch our How to Install an SSD in Your Laptop video for step-by-step instructions. A 2.5-inch SSDs generally works just fine in a desktop 3.5-inch drive bay, though you'll need to fasten it with some mounting brackets or else it'll just sit loose in your case. Unfortunately, not many budget SSD options are available. You can find cheaper models out there--some older 60GB SSDs are selling for as low as $100 during the holiday sales--but they typically don't operate quite as fast as the pricey models. Still, you can give your PC a quick speed boost by buying a cheaper SSD and only loading your OS and main apps on there. Alternately, you could opt for a hybrid SSD/HDD drive like one from the Seagate Momentus XT line. Hybrid drives give you a relatively small amount of flash memory for quickly loading your operating system and apps in addition to a standard rotating-platter hard drive with the larger, cheaper storage you're used to, but the latest hybrid drives haven't done as well as we had expected in our preliminary testing. We'd recommend holding off until we see the tech perform better. Have your own top PC component picks? Post them in the comments! Patrick Miller covers how-tos and games for PCWorld. Follow him on Facebook or Twitter.